Syntelli Solutions CEO, Rishi Bhatnagar, has always had a vision – to develop consulting services that dramatically reduce analytics TCO, enable companies to process huge amounts of data, and help them do it in much less time than traditional data warehouse approaches. In his vision, everybody wins. Rishi has always wanted to resolve big business problems with data. He founded Syntelli early in his career to provide data analytics and business intelligence consulting services. Since starting Syntelli in 2005, he has grown the company to be a premier provider of end-to-end analytics consulting services. Syntelli Solutions combines traditional data warehousing principles with big data technologies such as MapR and Hortonworks Hadoop, and visualization strategies that use Tableau and TIBCO Spotfire softwares. The sources of Rishi’s strong consulting experience include work at Ernst & Young, Oracle, and RBI Solutions in banking, risk management, and engineering positions. These roles have given him a broad view of customers’ concerns and the ability to move big data solutions into mainstream IT infrastructures. Rishi is also the Founding President of Analytics & Big Data Society in Charlotte. The society contributes to the community by bringing together people from local business and educational institutions to discuss current big data developments. 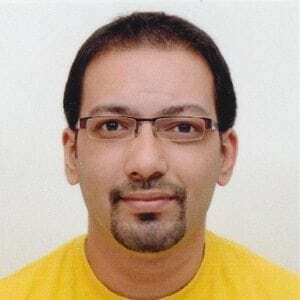 Rishi received his MBA in Finance from the University of Mumbai and an undergraduate degree in engineering from the National Institute of Technology in Bhopal. 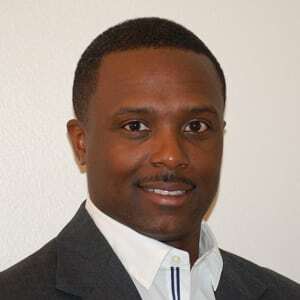 He is on the advisory board of the North Carolina Technology Association, member of several non-profits and actively involved in the business community at large. Rishi lives in Charlotte with his wife and children. The 28-year career of Syntelli Solutions President, Frank Boncimino, has been all information technology all the time. Frank started his career in technology consulting services at Ernst & Whinney and then became a partner at Ernst & Young (which became Capgemini Ernst & Young). 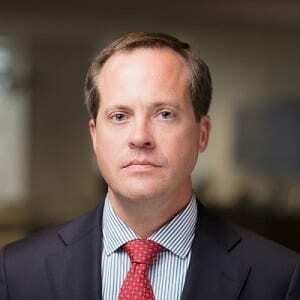 He then served as CIO of Time Warner Cable for 11 years. Frank brings a proven track record to Syntelli. He’s known as a specialist in designing and executing IT strategies focused on growing businesses. His experience focuses on enhancing the customer experience and simplifying automated business processes. He’s also recognized for large-scale business transformations, big data solutions and application portfolio rationalization, which have business impacts worth millions of dollars. Data analytics solutions that provide insights and transform organizations into data-driven cultures. The use of big data in business processes, which change conversations with customers in real time. 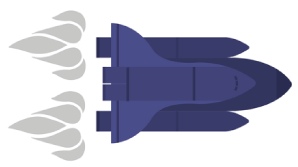 Opportunities for companies to create and monetize new data products. IT-ology, an IT career development organization (Chairman of Charlotte branch). A Child’s Place, a welfare organization for homeless young people (Executive Committee member). Frank lives in the Charlotte area on Lake Norman with his wife and three children. He recently started a new sport: wake surfing. 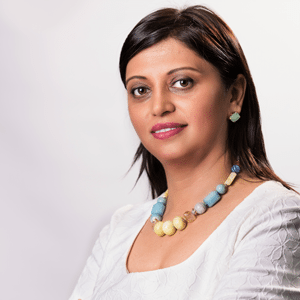 Shikha Kashyap is Syntelli’s CTO and the powerhouse behind architecture decisions and technology direction. She knows that keeping big data solutions simple will ensure successful deployments. Her belief in the use of agile methods helps build high-value deliverables with fast times to market and proven results. Shikha has two decades of experience delivering advanced IT solutions. Her focus was on big data, long before anyone called it ‘big data’. 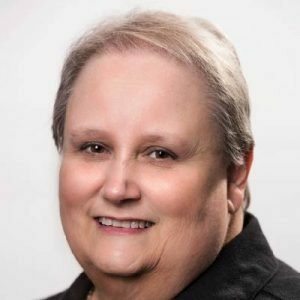 Ever since, her experience has grown within the industry, in data and data analytics, master data management, and architecting Big Data Solutions for her clients. 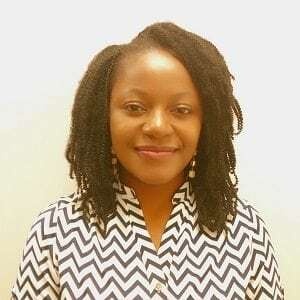 She believes in using big data for social good and is actively involved in the community as board member of the Analytics & Big Data Society in Charlotte. 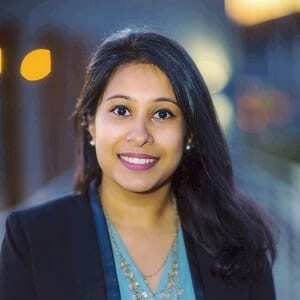 Shikha is also on the communications advisory committee of SIM Charlotte, and is owner of the largest data visualization and data science meetup in Charlotte. When she’s not building dynamite IT solutions, she likes to travel and paint. Mohana joined Syntelli in July 2015 as our Director of Business Development, where he’s responsible for sales, account management, client relationships and business partnerships. He’s a force of nature, who’s driven to use sales and partnerships to solve business problems. Mohana believes in integrity-based selling and prefers long-lasting relationships based on successfully delivered projects. Mohana brings more than 13 years’ business development, pre-sales, account management, program management experience to his work. He has a strong technology background and has worked in the banking, insurance and telecom industries. Mohana holds an MBA in Marketing, Managerial Analytics, and Finance from Kellogg School of Management. He lives in Charlotte with his family. Debborrah brings 30+ years of Administrative Office Management, Bookkeeping and Human Resource experience to Syntelli Solutions. She developed and utilized her experience during company start-ups, re-organizations, mergers, acquisitions, relocations, and dissolutions. Debborrah has developed strong business relationships with our company’s clients, vendors, and employees to enhance the infrastructure of our company’s operation and cultivate business growth for Syntelli Solutions. Debborrah assists with Syntelli’s Internship Program encouraging our interns to grow personally and professionally, preparing them to take on full-time roles within the company. Residing in the Charlotte area, she has two children and five grandchildren. In her spare time, Debborrah enjoys reading, cooking, poetry, traveling, volunteering and spending quality time with family and friends. Richard Park graduated from Brown University majoring in computational biology. He obtained a PhD in bioinformatics with a thesis in analyzing and visualizing large scale cancer genomes. He has worked at an array of startups and industries from fashion, design, genomics, healthcare, and data science. His products and visualizations have been featured everywhere from PBS, Wired, Technology Review, London Sunday Times, ABC Good Morning America, and CNN. 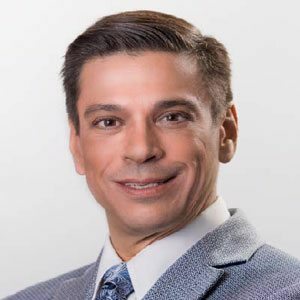 Javier Guillen has 18 years of experience working in technology, with ten of those in business intelligence, analytics and data strategy consulting. He is an adjunct professor for the City University of New York (CUNY) data & analytics program and a board advisor for the Computer Technical Institute at Central Piedmont Community College (CPCC). 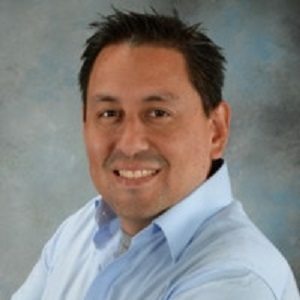 Javier has presented a numerous technology events like SQL Saturday, PASS Business Analytics and Carolina Code Camp, and has co-authored and reviewed various industry leading whitepapers. 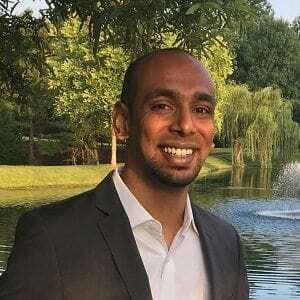 He co-founded the Charlotte Business Intelligence User Group, a nonprofit dedicated to promoting technology in the Charlotte community with over 350 active members. Avinash has over 5 years of experience with a proven record of developing innovative analytical solutions for leading IT Organizations. He is a self-motivated and a quick learner who absorbs new ideas and communicates clearly and effectively. He has a history of collaborating with different teams to develop visualizations with data sources across multiple applications and platforms. 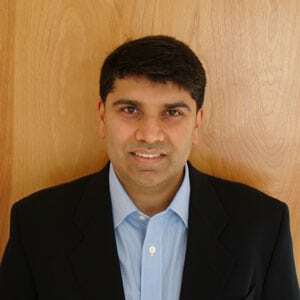 Through multiple roles, Avinash has demonstrated his passion for providing customer-focused attention to all business needs, meeting tight deadlines and applying problem-solving techniques. Avinash holds an MS in Computer Science from Cumberlands University. He is also a Certifed TIBCO Spotfire 7.x Analyst. When he isn’t developing data visualizations, he enjoys watching movies, riding motorcycles and listening to music. Blake brings over fifteen years of experience in software development and project, program and product management to Syntelli. In his current role as Solutions Architect, Blake assists the company in sales and services by architecting and developing data science and big data solutions to meet diverse client needs across a variety of channels. Blake graduated from Auburn University in 2001 with a degree in Management Information Systems and started his career with Accenture as a software developer. After spending several years in software development roles, Blake moved into more client facing roles as a project and program manager, primarily in healthcare and specializing in radiology and cardiology imaging solutions. During his time with McKesson, Blake played a lead role in developing the company’s services approach for Federal Government and Department of Defense (DoD) programs. 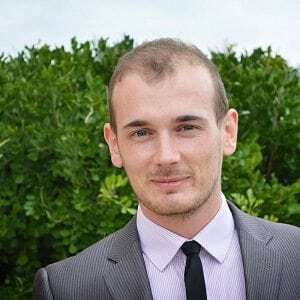 Prior to joining Syntelli, Blake worked as an Engagement Manager for a data science and big data consulting company and worked with clients across a variety of industries, and has several Microsoft Azure and AWS certifications. Outside of his role as Engagement Manager, Blake also contributed to the architecture design and development of two go-to-market analytics products for customer contact centers. Blake resides in Birmingham, Alabama and when he isn’t developing and implementing solutions for clients, he enjoys playing guitar and spending quality time with friends and family. Dennis brings over 20 years of experience in systems analysis and design, system and application development (desktop, mobile, web, client-server), data modeling, database design and management and client-server administration spanning multiple industries that include technology, banking, security, pharmaceuticals, energy, logistics, and retail. He is owner of one U.S. Patent, a Spotfire certified professional and trainer, and holds Google Adwords and Analytics certifications. Whether it’s a simple data visualization or a highly intricate system, Dennis applies this “data first” approach in designing any of his solutions. He says, “The solution that you come up with will only be as good as your data and your understanding of it”. When Dennis isn’t breaking down large datasets, you can find him spending time with his wife, 16-month-old baby girl (#TheDennistator aka #AmoryKim), and 9-year-old chihuahua (#TheMiles aka #Miley). He is especially proud of his growing collection of guitars. Ershod brings over 20 years of experience in business consulting and contingent workforce solutions for the healthcare, managed care and financial industries. Ershod joined Syntelli in 2018 to assist the company with its expansion and market presence in the Florida market. 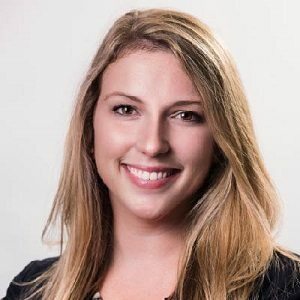 Prior to joining Syntelli, Ershod spent 10 years in MSP program management for GuideWell/Florida Blue, Fidelity Information Services (FIS), and Bank of America/Merrill Lynch. In these roles, he provided thought leadership to his clients and guidance to his teams throughout the US and India. 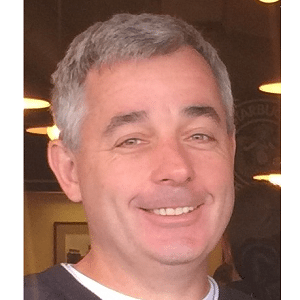 Over the last decade, he has developed a well-respected reputation within the contingent workforce MSP industry with his contracting and consulting vendors through his industry knowledge, collaboration and professionalism. Ershod holds a MBA in Human Resources Management from the University of Phoenix and a Bachelor of Arts from the University of Florida. He is a Richmond, VA native and currently resides in Jacksonville, FL with his wife and two sons. When he isn’t designing solutions for his clients, Ershod remains active in the Jacksonville community via various fraternal organizations, youth mentoring groups as well as youth sports associations. 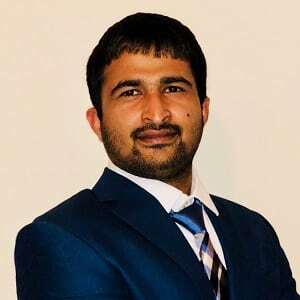 Gorji received his PhD from North Carolina A&T State University and worked in the capacity of a post-doc associate at the University of Arizona. 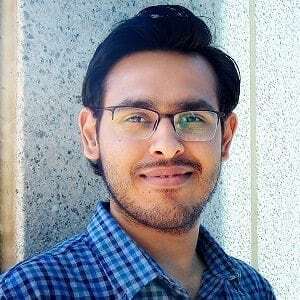 He joined Syntelli in 2016 and has successfully completed several projects in the areas of Machine Learning, Econometric Modeling and Statistical Analysis. 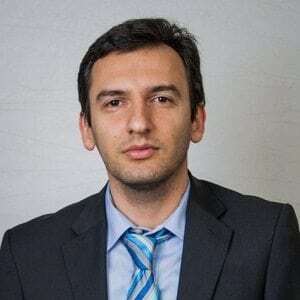 Gorji has also worked on other data science projects in academia, climate change, genomics and intelligent vehicles. He has published about 30 papers! When Gorji isn’t creating super models, you can find him playing soccer and learning about the history of different countries. 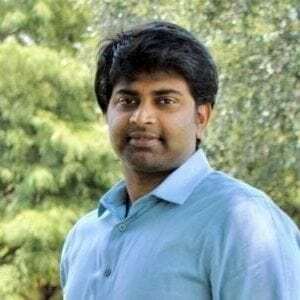 Kiran Muglurmath is a hands on big data architect and data scientist with strategic consulting experience at multiple large corporations working with senior executives. 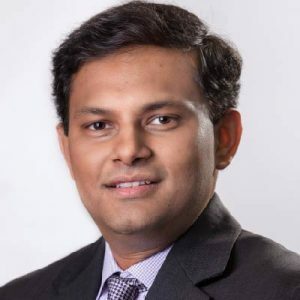 He is an expert in designing and implementing platforms for machine learning, natural language processing, artificial intelligence and predictive analytics. He has architected and implemented more than 10 end-to-end petabyte scale data pipelines at large corporations like Comcast, T-Mobile and Boeing. 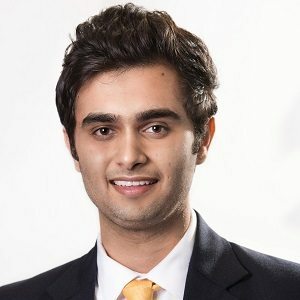 He holds an MBA from the Kellogg School at Northwestern University and a computer science degree from Bangalore University. Communication is the key to great delivery. Kirsten joined Syntelli Solutions in 2016 to bring her delivery experience to clients’ projects and enhance our conversations about data. Prior to joining Syntelli, Kirsten spent 4 years as VP of Marketing at Healthcare Education Associates and spent another 4 years managing accounts for an advertising agency. She leverages her previous experience to help our clients in the Healthcare and Manufacturing sectors remain progressive in their thinking about what to do with their data. When Kirsten isn’t delivering awesome projects to our clients, you can find her cheering on our local Carolina Panthers! Louis graduated from UNC Charlotte with a Bachelor of Science in Computer Engineering and joined Syntelli during its early stages of inception. He works on full-stack application development, machine learning, dashboarding, BI, and server administration. 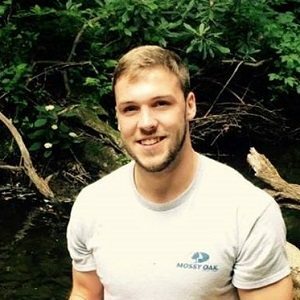 Louis’ special interest lies in Natural Language Processing and possesses an exceptionally brilliant skill in building chatbots. When Louis isn’t tearing through lines of code, you can find him writing fiction. Maithili moved from Baltimore to Charlotte upon obtaining an MS in Marketing from Johns Hopkins University to join Syntelli in 2017. With her passion for business and technology, she seamlessly took over our marketing initiatives for digital, social, brand management, advertising, content, and public relations. Maithili brings over 4 years of marketing experience, having worked with start-ups and multi-nationals in the retail and professional services industries to plan and assist with their digital marketing strategies. During the course of her career, she has also undertaken pro-bono consulting projects in marketing strategy for local non-profits. Maithili also holds a Bachelor’s and Master’s degree in Management from the University of Mumbai. When she isn’t channeling her inner creativity, you can find her enjoying her love for music or pursuing her passion for traveling. Marcela has worn a number of hats during the course of her career in the financial services, health care, shipping and beauty industries. 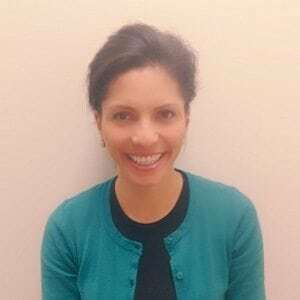 She joined Syntelli in 2012 to provide administrative support, working alongisde the director to coordinate business operations including accounting and finance. Marcela’s attention to detail and quick problem solving skills make her our go-to person for anything and everything. She’s usually the smiling face and friendly voice that will greet you over the phone or in person. When Marcela isn’t being Syntelli’s very own wonder-woman, you can find her playing volleyball, hiking, cooking for friends, traveling, camping or doing yoga. Providing solutions that enhance business competitiveness and enable companies achieve their goals leveraging on data is what Moyo stands for. She has worked with data in a number of ways and has a well-grounded understanding of the data lifecycle. As a Data Scientist/Engineer, she has managed several successful projects building and implementing predictive models. She earned her M.S. in Data Science and Business Analytics degree from the University of North Carolina at Charlotte. When Moyo isn’t building dynamite models, you can find her spending quality time with friends and family, reading, planning and contributing to the community. A programmer at heart, Neeraj brings in experience from a wide range of tools and technologies. During his early career, he worked on several end-to-end projects to develop software systems from scratch with the Design & Architecture, Development and Testing phases. He moved into the analytics space with his experience in Tibco Software, as the Lead Analytics Spotfire Consultant at an offshore location. Over the years, he has developed his knowledge in data analytics with experience in several Analytics Tools and Databases. Neeraj completed his Master’s in Computers & Distributed Systems from Chalmers University of Technology in Sweden and Bachelor’s in Engineering from India. When Neeraj isn’t developing amazing software, you can find him spending time with his family and kids. 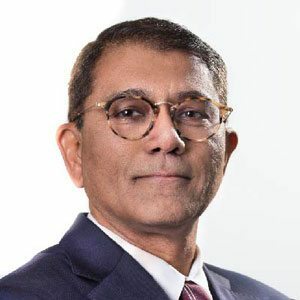 With 14 years of professional IT experience, Raja is passionate about discovering and delivering innovative methods to utilize Big Data, Data Science and Machine Learning to solve critical global problems across a variety of industries. He brings over 5 years of expertise in Big Data Analytics as a Big Data Architect, Senior Big Data Engineer and Data Scientist. His past work includes data analysis, architectural design, prototyping, development, integration and testing of applications using Java/J2EE and Endur Technologies. Raja received his Bachelors in Statistics & Computer Science, and Masters in Computer Science from India. When Raja isn’t designing advanced analytical solutions, you can find him spending time with his family and children, or traveling around the country. He has visited 14 states in two years. Originally from Madrid, Spain, Ruben came to the US in high school back in 1995, and over 20 years later his entrepreneurial spirit and drive for innovation still in tact. Ruben is passionate about engaging and developing analytical solutions, creating competitive advantages and delivering valuable and actionable insights to drive businesses forward. 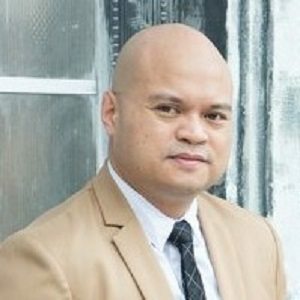 Prior to joining Syntelli, Ruben has spent most of his 16 years professional career in the Healthcare industry, from startups that went IPO to global Fortune 200 companies like McKesson Corporation and Becton Dickinson & Company. During his career, Ruben has held positions in Product, Project and Program Management and has also taken the role of a Senior Consultant. 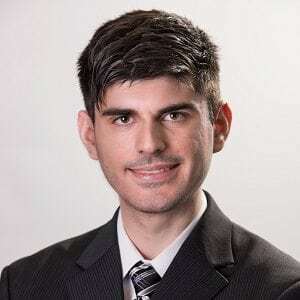 Ruben holds a Bachelors of Science in MIS, a Masters in Engineering – Information Sciences and a Masters in Health Administration from the University of Alabama at Birmingham. 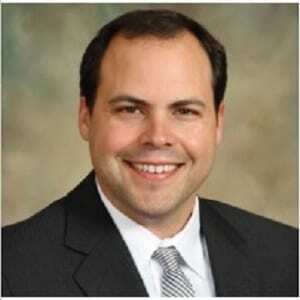 Ruben also serves time as a Board Member of the Alabama Chapter of the American College of Healthcare Executives. Ruben resides in Birmingham, Alabama and when he isn’t collaborating and engaging in meaningful conversations with customers, you will find him playing golf, cooking a paella or spending time at the beach with his wife, and dog Romeo. 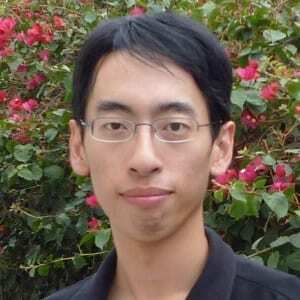 Samuel Hsin-Sheng received his B.S in Electrical Engineering from National Taiwan University and his PhD from University of California, Los Angeles in Materials Science and Engineering. Prior to joining the data science team at Syntelli Solutions, he worked at Duke University as a founding member of a new research group. He has extensive research and project experience in renewable energy, data acquisition and visualization, and open-source education. He has published 37 research papers in leading journals with total citations 8000+ times. When he is not building models and solving complicated problems, you can find him spending time with his family and traveling. Shreyansh works with Syntelli’s Customer Information and Analytics team to determine business requirements, mine data from multiple sources, and perform data visualization and reporting to help our clients achieve their business goals. With an M.S. in Information Technology from University of North Carolina specializing in Data Analytics, he enjoys working with large amounts of data, facts, and figures and using them to make informed decisions. When Shrey isn’t running detailed reports, you can find him playing cricket, exploring new places and spending time with his friends and family. Sumit is eager to solve problems and has always been driven by his intellectual curiosity to find answers to the most pressing questions. At Syntelli, he is part of our Business Intelligence team where he assists clients’ in improving their efficiency and forecasting ability. Using his knowledge and hands-on experience in Qlik, he has integrated various API’s and databases to deliver insightful and intuitive business discovery solutions. When Sumit isn’t analyzing data, you can find him spending time outdoors, playing board games or cricket with friends. Originally from France, Tebow (or Thibaut) joined Syntelli in 2015 as an intern, while pursuing his MBA in Finance from Winthrop University. Soon after obtaining his MBA with honors, he came on board full-time data wizard at Syntelli. In addition to being a former racecar driver, Tebow managed the U.S. branch of a private French school group and was a project lead for one of Las Vegas’ top attractions. With a background in business and graphic design, Tebow is a great asset to Syntelli’s project management and data visualization teams. His hard working personality, dedication, and attention to detail guarantee great deliverables. When Tebow isn’t creating beautiful visualizations, you can find him running half-marathons in under 100 minutes! Tyler grew up in Geneva, Illinois and graduated from Davidson College in 2016. While at Davidson, he studied mathematics and performed independent research on the applications of data science in sports. Through this experience, Tyler developed a passion for the application of data analytics and data science in a variety of industries. 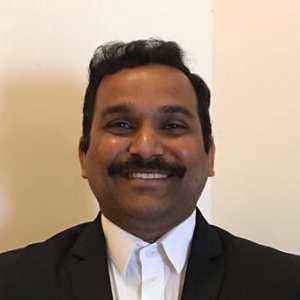 At Syntelli, he has had the opportunity to work on a diverse range of analytics use cases, leveraging various BI tools, API’s, and data platforms. When Tyler isn’t professing his love for data, you can find him writing, serving as a pilot for the US Bobsled team, and training for the next Winter Olympics in Beijing, China in 2022! With over 2.5 years of IT experience, Vinod is passionate about discovering and delivering innovative Big Data, Data Science and Machine Learning solutions to solve critical business problems across the industry. His expertise lies in analyzing data through insightful reports, and making & communicating recommendations. He is skilled in identifying trends, usage patterns, and growth patterns that impact business decisions, defining new KPIs and tracking existing ones. Vinod holds a Masters Degree in Computer & Information Sciences from Southern Arkansas University at Magnolia, and a Bachelors Degree in Electronics & Communication Engineering from India. When Vinod isn’t delivering innovative solutions, you can find him playing cricket and volley ball. Vishwas provides solutions to big data problems like real-time streaming data, Traditional SQL vs NoSQL, Hadoop or Spark, Amazon Cloud Services (AWS) vs Personal Cluster. His focus is on analyzing and providing optimum solutions for business use cases. Prior to working at Syntelli, Vishwas was a Research Assistant at University of North Carolina at Charlotte. While at UNC Charlotte, Vishwas worked on integrating Big Data with Mobile Devices (IoT) and Deploying Language Classifier on a Pseudo Distributed Spark Cluster. Vishwas received an M.S. in Electrical Engineering from the University of North Carolina at Charlotte. His research interests are Spark development, Visual Analytics, Android Devices, Machine Learning. When Vishwas is not providing incredible big data solutions to our clients, you can find him hiking, playing soccer and travelling. In a wide range of business and technical environments, Walter brings mature hard and soft skills to help companies move from high level strategy to implementation. He obtained a Bachelors, a Masters and completed all his PhD coursework in Engineering specializing in what is now today called Data Science. He obtained his MBA from NYU. 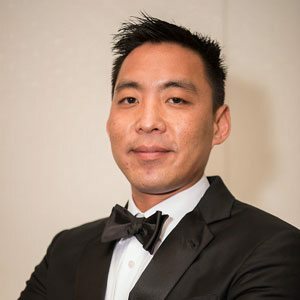 Walter’s experience includes hands-on Data Science, website development consulting, owning and running a background screening company, and running the Technology and Complex Operations as a member of the Senior Leadership Team for Sterling Backcheck, which is now the largest background checking company in the United States. He maintains his hands-on programming and database expertise. When Walter isn’t generating value out of data, you can find him playing on an ice hockey team with his son who is in college. Xiaohong studied automation control systems in her undergraduate study and wireless communication systems during her master’s degree program. Fascinated by the ingenious design of biology systems, she decided to study biology. 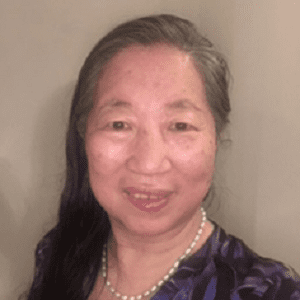 She obtained a PhD in Biochemistry and Biophysics from UNC Chapel Hill, then worked at Duke University for cancer and pharmacology research, as well as scientific computing. She has worked in the capacity of a Data Scientist on a variety of projects across industries like software, pharmaceutical, health care, financial, environmental and education. When she isn’t trying to solve difficult problems in the world, you can find her oil portrait painting. Propel your Career with Syntelli Solutions!